At this time of year it’s very tempting to stay inside, keep warm and banish all thoughts of garden visiting until April. But if you do that you’ll really be missing out. 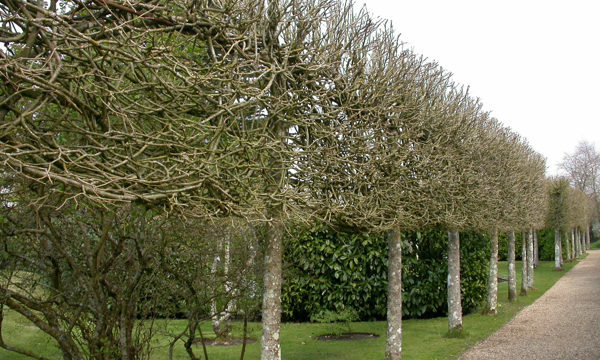 I’ve noticed that more and more public gardens are starting to offer ‘winter gardens’ or ‘winter walks’ or simply ‘winter borders’. 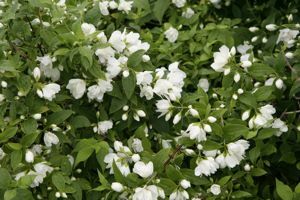 Either way, the owners have understood that gardens don’t need to shut down between November and March, and that by combining the right mix of plants, they can create really attractive places for us to visit. There’s no doubt that many (most?) gardens fail to inspire in the depths of winter. And when the trees have lost their leaves and everything seems grey or brown, a splash of colour or a waft or scent is more appealing than ever. Take it from me, visit one of these winter gardens and you’ll be inspired to do something to brighten up your own plot. 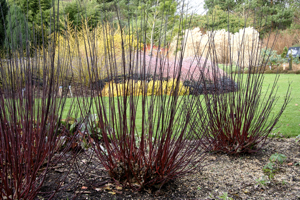 Probably the most striking plants (and always included in winter planting) are dogwoods (Cornus) and willows (Salix). 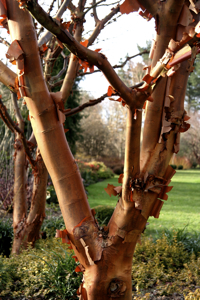 Acers too often have attractive coloured bark, and of course Silver Birch and the Tibetan Cherry (Prunus Serrula) are popular trees for winter colour. 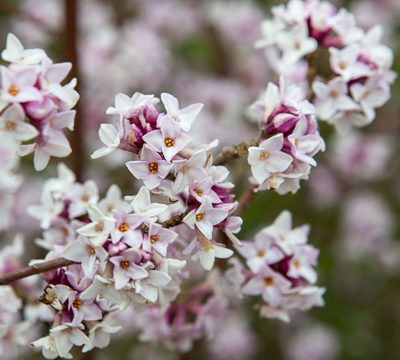 Winter flowering Viburnum and Daphne are lovely for scent as well as for their pretty flowers. Hamamelis (Witch Hazel) have wonderfully perfumed flowers in shades of yellow or orange, and even though yellow is (in my experience) the least favourite flower colour of many people, the bright yellow perfumed flowers of Mahonia do wonders to cheer any garden up. Structural grasses like Miscanthus, and Bamboos (especially attractive with coloured stems) provide movement and height throughout the winter. 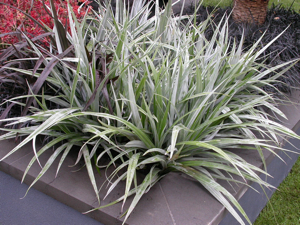 Variegated foliage does wonders to brighten up gloomy corners where the sun won’t reach in winter. Stalwarts like Holly and Euonymus japonicus are widely used, but I also really like a shrub called Osmanthus heterophyllus Goshiki which looks like Holly and is good in dry shady spots. 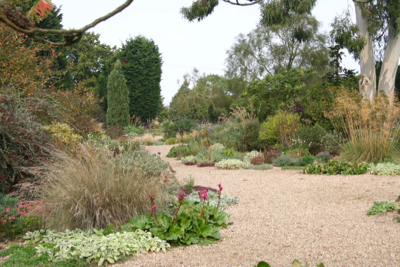 Two gardens in Cambridgeshire are renowned for their winter gardens: Cambridge Botanic Gardens, with 40 acres of gardens and glasshouses (closed Xmas week though) and Anglesey Abbey, Lode – a Jacobean style house with gardens and a working watermill. In North Yorkshire, you can visit the Winter Walk at the RHS garden Harlow Carr just outside Harrogate. 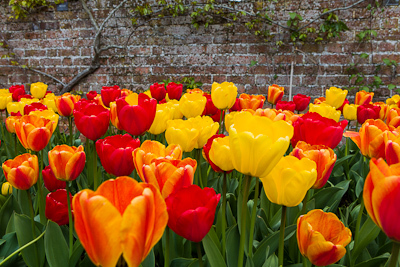 Hampshire boasts two winter gardens – the well established one at the Sir Harold Hillier Gardens, and nearby, a recently created winter garden can be seen at the National Trust property Mottisfont. Near Altrincham in Cheshire, you can visit Dunham Massey’s seven acre winter garden which was created four years ago and has over 700 plant species to enjoy. 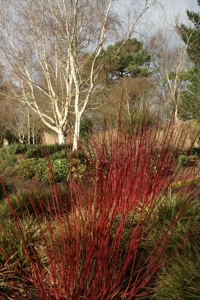 The Savill Garden near Windsor also has its ‘Winter Beds’ which are packed with colourful and scented plants. And what’s more, entry to this 35 acre site of gardens and woodland is free in December, so there’s another good reason to visit now! So, no more sitting inside waiting for spring to arrive, get out there and enjoy the sights of winter!